Small Shopping Cart With Colorful Tropical Leaves On Blue Background Minimal Creative Summer Shopping Concept. Fotos, Retratos, Imágenes Y Fotografía De Archivo Libres De Derecho. Image 118588674. 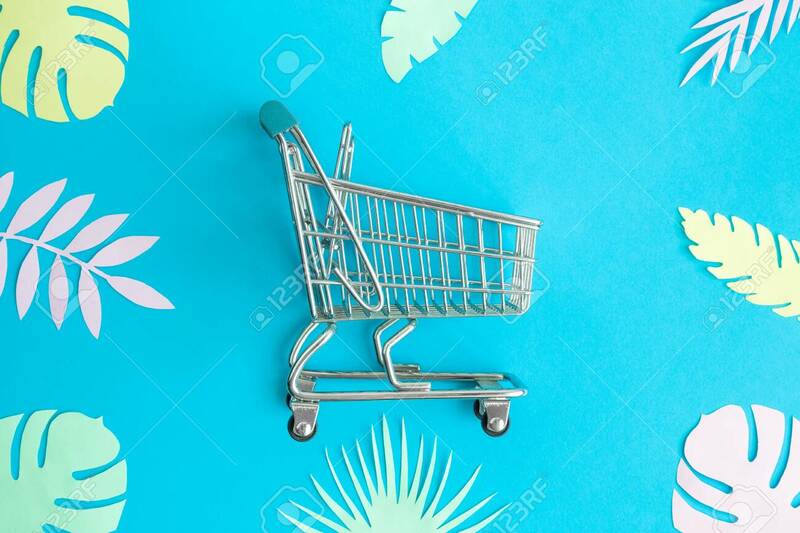 Foto de archivo - Small shopping cart with colorful tropical leaves on blue background minimal creative summer shopping concept. Small shopping cart with colorful tropical leaves on blue background minimal creative summer shopping concept.